The longer we homeschool, the more we are really turning into..... unschoolers. Most of our true learning comes in the unplanned moments, spontaneous field trips, and interest led explorations. I don't think we're 100% unschoolers... we still are very structed for things like grammar, writing, and math -- but we're much closer than I ever thought we would be! The most retention comes from those times when my children take the lead, or when it is some unplanned family educational experience. The week between Christmas and New Year's we had the chance to stay at a beautiful home in the mountains of North Carolina. After inquiring about educational opportunities, we discovered Carl Sandburg's home in Flat Rock, NC. Lo and behold, it is also a Junior Ranger site (Remember how much we loved becoming Junior Rangers? - We did it twice on our recent trip to California)! The morning of our trip to Sandburg's home, my sister-in-law and I were researching Sandburg and talking to the children about him. I love it that our extended family can get involved in homeschooling, too. * He and his wife had a long, loving marriage - she was also raised prize winning dairy goats. There are still many goats at the Sandburg home that are direct descendants of Mrs. Sandburg's prize winning goats. We could pet them and learn about the different types. The home itself is nestled back on a very large property (ironically purchased from a confederate general -- the irony lies in the fact that Sandburg was Lincoln's biographer. It is also ironic that an old socialist like Sandburg could enjoy the fruits of his hard work and purchase a nice tract of land and live quite comfortably.). It took a whole boxcar to bring all of Sandburg's books to North Carolina when they moved. We got to see most of those original books. His home is nestled so beautifully by a lake - our guide told us that Sandburg would many times "go outside and sit in the sun with his shirt off and 'dirty paper'". My kids thought the expression "dirty paper" was a neat way to say write. In the summertime local college students still come and act out his Rootabaga stories on the lawn of the house. I think we might have to make a return trip this summer! Probably the most important thing I learned was that Sandburg's writings for children (and adults) are so lyrical that they just beg to be read aloud. I was reciting this poem on the way home one later afternoon in NC, as the weather was getting VERY foggy... we got to my sister-in-law's house and I snapped this photo. How cool is that? It was just one of those very memorable moments when all of our learning comes together. 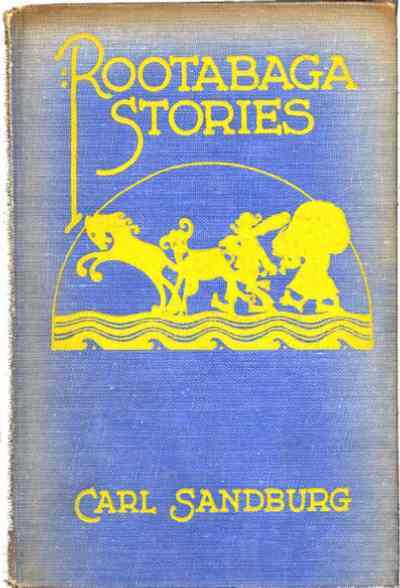 This week we are also reading along Sandburg's Rootabaga Stories for children. They are different than anything else we have read. I found them as a free download and we have been enjoying a few each day. With titles like The Potato Face Blind Man Who Lost the Diamond Rabbit on His Gold Accordion and How Henry Hagglyhoagly Played the Guitar with His Mittens On, you can imagine they are pretty silly and off the beaten path. There is something about them, though, that keeps my children asking for more. The children have started a poetry notebook and I made this handy poetic devices reference minibook (thanks, Jimmie!) to go through with them as we read. (Sandburg is packed with allitteration, personification, and simile!) They have copied "Fog" and completed a biography notebooking page about Carl Sandburg. I'm hoping we can add other poets to this notebook this semester. I hadn't planned on any of this, and had I been sticking tight to a curriculum/schedule I doubt this learning would have happened. Once we got home, my husband found a National Geographic movie about the Appalachian Trail (part of which runs through NC), and today GMan chose a book about Appalachia from the library. North Carolina is also our state to study this week. This little junket to North Carolina just keeps going and going..... I LOVE IT! 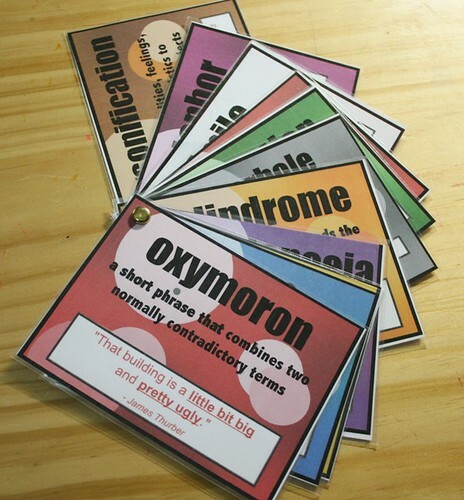 The best thing about homeschooling is being able to learn alongside my children. Learning as a family has brought us so close together. It is truly a gift. Linking up with Amy, at Hope is The Word.